Apple Pay lands but will it fail to fuel take-off in mobile payments? Few brands can make the headlines for each of their new launches and Apple is surely one of them. The much anticipated launch of the iPhone 6 has yet again created a buzz that still hasn't subsided. 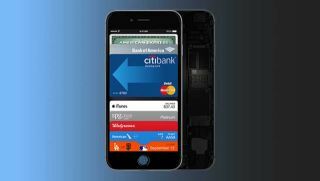 One of the most anticipated features of Apple's new iPhone is Apple Pay, which marks the tech giant's first go at the mobile payment technology. But when the smoke following the launch settles will Apple Pay succeed in powering Apple's break into the final frontier of e-Commerce? With the number of mobile payment users set to increase to 450 million by 2017 and the value of purchases in the mobile payments market estimated to reach $700 billion (about £432 billion, AU$803 billion) in 2018, it's easy to understand why Apple is entering the mobile payments market. This market is already dominated by players from a broad range of industries, from retail outlets to mobile manufacturers, and from financial services to social media companies that offer their own mobile payment solutions, often in the form of the "new great payments app". But where does Apple stand in this fiercely competitive market? Despite the noise surrounding it, Apple Pay runs the risk of becoming yet another option to be added to the long list of payment systems. Apple Pay is only available on the brands' latest models, which realistically refers to a limited share of the global smartphone market. The size of the audience is limited even further by the fact that users can only use credit and debit cards, issued by Apple's partners, currently representing no more than five card issuers with another five issuers to follow - mainly from the USA. At the same time, the decision to limit Apple Pay's capabilities to Near Field Communication (NFC) technology also drastically limits its scope to the retailers that have installed the technology. The fact that research shows that just 22 per cent of UK adults were aware of NFC payment technology in 2013 does not paint the best picture for retailers considering its adoption, especially as the cost of installing and maintaining NFC systems can be quite high. Technology aside, Apple Pay offers no more than yet another payment method, allowing users to pay with cards issued by Apple's partners at designated POS points where NFC has been deployed. But in order to rise from the crowd, payment systems need to provide a real solution to users in the fragmented retail space. There is no doubt that the vast array of options that both consumers and retailers have literally at the fingertips is empowering them. But at the same time, choosing the solution that is best suited for them can be overwhelming. In an overcomplicated and confusing mobile payment landscape, users need a simple, reliable and user-friendly solution that can meet their needs with no added cost, and without cramming their smartphones with individual payment apps that can only be used for specific retailers. This can only happen via a universal app that works anywhere. Similarly, retailers choose their mobile payment service, without however any assurance that the solution will be worth the investment. Without a clear and universal choice that can be seamlessly incorporated into their current infrastructure, how can they be sure they have picked a VHS and not a Betamax? To provide a solution to these problems, solutions need to be universal, one that gives users the power to not only pay, but complete their entire sales process, anytime, anywhere as quickly as possible. Being technology agnostic is also a crucial factor: QR codes, java script, social media, iBeacons, near field communication (NFC) and embedded audio tags can be used to enable instant purchasing both in-store and on the move. Mobile payments promise a host of opportunities for both consumers and retailers alike. But to be truly ground-breaking these technologies should correspond to real user needs and expectations.